I can't seem to get enough chocolate. I love it in smoothies, in vegan ice creams, in baked goods, and as a bar. Yet few of us think of chocolate as a fun flavor for skin care products, such as lip balms. Lunaroma offers a yummy chocolate lip cream that smells better than dessert. 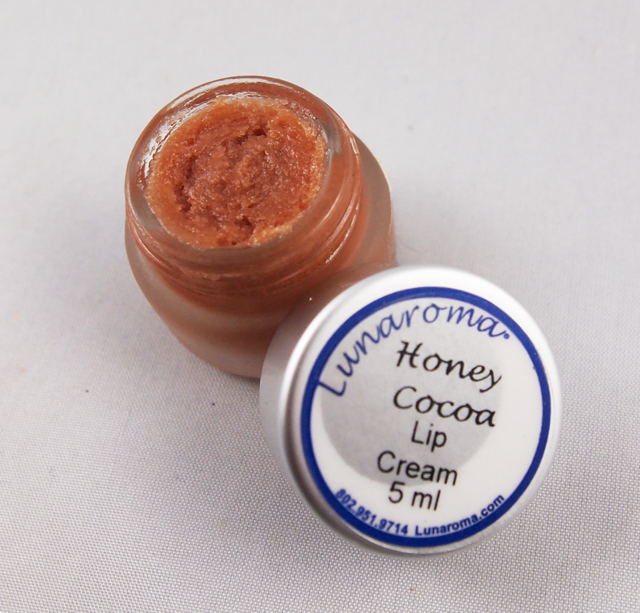 This tasty lip balm contains several organic ingredients and is a treat for the lips. It is hydrating but not oily. The formula is quite gentle, rating the lowest, a 0, on EWG's Skin Deep scale. It comes in a small jar, which is fairly expensive at $26. It is not available in many stores, but it is a small family business that was started by an aromatherapist. The ingredients are very high quality, and even the honey and beeswax are ethically-sourced. If you're looking for an unusual gift for the girl who has everything, check out Lunaroma's line.